I'm sure there's a million out there, but one of those million is going to be mine. I'd like to thank my friends for inspiring me to do this, and who knows, maybe my sister and I will some day make that cookbook we've been talking about for,well, forever. There was nothing wrong with this cooking, and I still make some of the meals I had as a kid. But as I grew up and left home, I was exposed to a world of food I barely knew existed. Trying new food was one thing, though... cooking it was another. Yeah, cooking. Another part of being one of five kids is that there was no time to teach me how to cook. I remember one solitary time I got to stand in the kitchen and watch ravioli being made. This means taking the bag out of the freezer and dumping it into boiling water for the right amount of time... you get the idea. So when I was in college, I basically made pizza rolls and ramen noodles just like any other college student. My boyfriend at the time liked cooking, so again, I wasn't really learning how to cook- just how to eat. Eventually, I had my very own apartment and a new boyfriend to cook for... and my own set of crappy pots and pans, limited money and a half-sized stove. Yeah, I even had to bend my cookie sheets to fit into the oven. I started out making the easy stuff, but eventually tried making new things. Once I found out I couldn't scare the new boyfriend Nick away with my hideous beginner's cooking (he IS my husband now, after all), I felt free to experiment and mess up meals. For the most part, things went alright. Eventually I mastered the basics. I credit this to trying a lot of stir -fries... Take a meat, some veggies, and sauce and cook it all together in a pan and put it over rice. Not bad. I also was making some of my old family favorites like spaghetti pie. Things were going alright, despite my cramped cooking quarters and cookware that was probably cancer-inducing. After I got married, we moved into a place with a much larger kitchen. We also had much nicer cookware and utensils, thanks to our bridal shower. I tried more new things, but I didn't really realize how easy cooking could be until the fall of '08 when I started watching the Food Network. I carefully watched Rachael Ray during one of her 30 minute meals shows and felt inspired to try her chicken riggies recipe, which was a big hit with Nick. Around the same time I received a Rachael Ray cookbook from my best friend, and tried some of those recipes too. After that, I was hooked. The pictures I was posting on MySpace (and then Facebook) of my successful meals were growing, and I felt bolder and happier with each good meal. Of course I still cook the old standbys, but it's great knowing that a little bit of confidence is all you need to make some easy cooking look fancy. I'm no cullinary master, that's for sure. I still struggle with long grain rice (I swear I either burn it or under cook it) and fish. I'm hoping to master those soon. I like cooking with new ingredients, learning how they respond, and I have a huge supply of spices now. I try foods I don't like over and over again in the hopes that I'll end up liking them, and it often works (I'm eating black olives now!) I also want to gain a little more intuition when it comes to cooking and rely a little less on recipes, but I've gotten to the point where I alter recipes 90% of the time anyways! 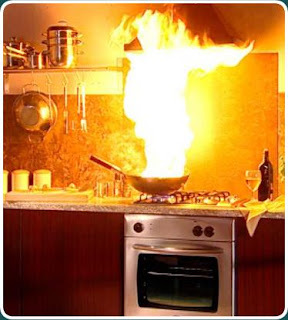 This blog is like cooking for dummies... If I can do it, anybody can. So I'll be posting recipes and pictures, ideas, tips, and mistakes. And please give me ideas too! 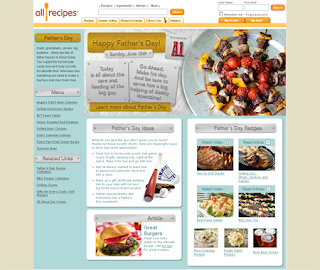 Tip #1: allrecipes.com is a GREAT place for recipes. I learned a lot from the site, especially since you can find meals based on ingredient searches, and nearly all of the recipes have user input and suggestions for improvement. That especially helps give you ideas for changing other recipes. An example of this is that I almost always use a related broth (chicken, beef or veggie, depending on the meal) instead of straight water, no matter what the recipe says. Check it out. 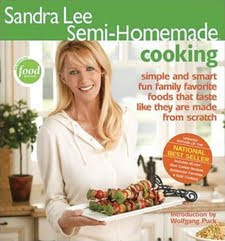 Tip #2: Food Network star Sandra Lee has a great show called Semi Homemade. She also has a magazine (which I subscribe to- it's great!) and cookbooks (my sister just gave me one of them for Christmas!). She gives very specific ingredients that can be bought at the store instead of being made from scratch, like salsas, dips, spice mixes, etc. It saves time and creates nearly the same effect as a made-from-scratch meal. The shortcuts don't take from the meal- it's just another way of making something that looks great but is easy to put together. Check out her show, cookbooks, or magazine. I'm sure I'll be posting some of her recipes in the future.